I asked, "who is there?" but 2nd one hell yeah! and even puts the toilet seat down! will come back smiling through the door. When I read this article by Kim Zapata (source www.babble.com) I couldn't believe what I was reading. It was as if she has ripped my heart out with those words and what I have been going through almost everyday for the past few months. Every time I see a brother protecting his sister from falling, every time a girl shares a FB post and tags her sister about the bond they share, every time a see a baby being smothered by kisses by her elder brother, my heart aches. My husband and I again go through the pros and cons and after a couple of days of struggling views, push the thought back, yet again. I am not sure if we'll ever go ahead with the decision, if we'll ever take the plunge, but when I read this today, I couldn't help but share it on my blog to remind me after a few years, in case we don't go for it, the struggles of my heart and mind, the oscillating thoughts and the heart ache of a mom who feels incomplete. Sasha - please forgive me if we are not able to give you a friend in the form of a brother or sister, to help you understand the bonds of a sibling, for the lifelong support that many share and a beautiful family of four that fills many a photo frame. I should probably start by saying that I’m not pregnant with you and I’m not having you. At least not anytime soon. At least not yet. Make no mistake: I want to have you. For months now, I have dreamed of carrying your little body close - of tickling your toes and holding your little hand in mine. I have spent many hours trying to imagine what it would feel like to conceive you and carry you and hear your heartbeat for the very first time. I’ve puffed out my stomach and arched my back, wondering what I would look like; wondering what I would feel like. And I’ve spent hours talking with my husband (and your father) about why now is the right time - or the best time - to have you. I’m trying to convince him why we should transform our trio into a family of four. Yet even though I am “ready” - ready to carry you and nurture you and to have a second child - I am still terrified. I am still scared to death. Because things didn’t go as planned with your sister. Shortly after she was born, I struggled. I struggled mentally and emotionally. We - as a family - struggled financially. Your father and I struggled with our relationship. One day I nearly walked out; one day I asked for a divorce. Depression nearly destroyed me. Postpartum depression nearly took my life. And while that, in an of itself, is a damn good reason to be frightened and afraid, it isn’t postpartum depression that scares me most this time around. (Not anymore, at least.) No, this time, the fear is all about me, and my own personal inadequacies. You see, selfishly I am afraid that if - and when - I have you I will become angry and resentful, because there is not enough of me to go around. Right now, with your sister, there is already not enough of me to go around. I worry that in having you, I will have to make a difficult choice: I will have to put you in daycare much younger than your sister or I will have to sacrifice my job - the career of my dreams and the career I fought for an entire decade to obtain. I’m afraid that I’ll be so exhausted and stressed that I’ll take it out on you, or on your sister. I’m afraid that, if the PPD returns, I won’t be good enough or “well enough” to care of you. I won’t be the mother you need or deserve. I’m afraid that your sister’s antics - being an older, outgoing, and a risk-taking toddler — may cause me to miss out on your childhood. I will cover my eyes and count to 20, but when I remove my hands you will be crawling. Before I find your sister, during our never-ending game of hide and seek, you will be walking. And then you will be grown. I’ll mourn the memories we never made. See in real what the tabloid boasted off. A life many dont get to see. My stars started to grace me. I underwent a change I never imagined. meeting people and funny creatures. Since the time that G & I got to know that we are going to have a third member in the family, I have been meaning to write a post about our feelings and the amazing journey we'll be taking together - capture few emotions in words worth reading after years! It was the first month of the new year, day 17, I can never take those 2 pink lines out of my head :) felt so surreal and G had tears in his eyes. It was every couples dream, every parents wish to hear that they are going to become grandparents - grand news indeed for all family n friends! We decided to keep the news amongst immediate family till the 1st trimester went smooth. Mugdha Parasnis - our OB advised us to go for the first sono after 2 weeks. The first trimester was a mix of nausea, giddiness and frequent visit to the loo'se ;) but overall went faster than I daunted. I thought it's time to get back to writing and what more do I need for inspiration than my beautiful angle Sasha! She turned one last September and the times been flying like a Boeing aircraft and I feel like a passenger in it without a seat belt. Right now I am juggling between office work, house keeping, photoshoots, editing work, album designing and the most important being a mother. All this is possible cause of my hubby Glenn, my spine and my to whom I everyday whine ;) I hope I continue to post my thoughts here from time to time so that years later when I sit and read these with my daughter, I can share a good laugh and a soulful tear with her. Thank you Almighty to have blessed me with such a beautiful life! First let’s cover the events that left a deep impact on us and will always be remembered with a scar. Apart from Voldemort, we will certainly not be missing the departure of Col.Muammar Gaddafi and the terrorist that shook the US of A, Osama Bin Laden. History was made when protests led to the resignations of the Tunisian and Egyptian presidents, and when UN-sanctioned Nato air strikes helped Libyan rebels overthrow Muammar Gaddafi’s brutal dictatorship. Gaddafi’s capture and death on Oct 20th at his hometown Sirte, Libya, at the hands of the rebels closed a long and dark chapter in the country’s history. Another black chapter came to an end in the early morning hours of May 2, 2011. A nearly decade-long search for the world's most wanted terrorist came to an end - Al-Qaeda mastermind Osama bin Laden was killed in a US operation in Pakistan in May in a mansion outside the capital of Islamabad. 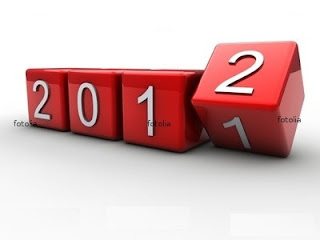 2011 was also known as the year of disasters. With historic floods, droughts, and tornadoes, this year has broken the record for the number of billion-dollar calamities. 8.9 magnitude earthquake struck Japan on March 11, 2011 triggering tsunami alert along Japan’s Pacific Coast and to at least 20 countries. 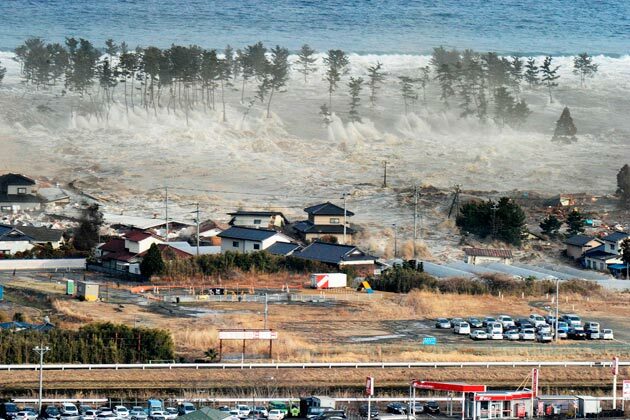 This largest tsunami catastrophe was the worst history of earthquake in Japan but what’s creating more global concern is the possibility of the leaking radiation to the air following the explosion of two nuclear plants in Fukushima, Japan. From January 1-31, earthquakes hit Argentina, Chile, Iran, Pakistan, Tajikistan, and Tonga. By the following month that was from February 4-21, earthquakes struck Burma, Solomon Islands, Tonga, Sulawesi, Fiji and New Zealand. As if nature’s fury wasn’t enough to wound us all, Anders Behring Breivik, shot 69 people, in a summer camp in Oslo, Norway. He said his actions were ‘atrocious but necessary’. In Nov, the court-appointed experts ruled him criminally insane. Now let’s talk about those events & people that we will be missing for years to come. As some say, 2011 was a year when music died. Shammi ji and Dev Anand were the charmers of 60’s and 70’s. Bollywood can boast of songs that were composed, sung and picturized on these two heroes even today. We also lost the Ghazal maestro Jagjit Singh to the after-world. The singer struggled with a brain haemorrhage for 17 days before he breathed his last on October 10. He mesmerised music lovers for over four decades with his soul stirring numbers. 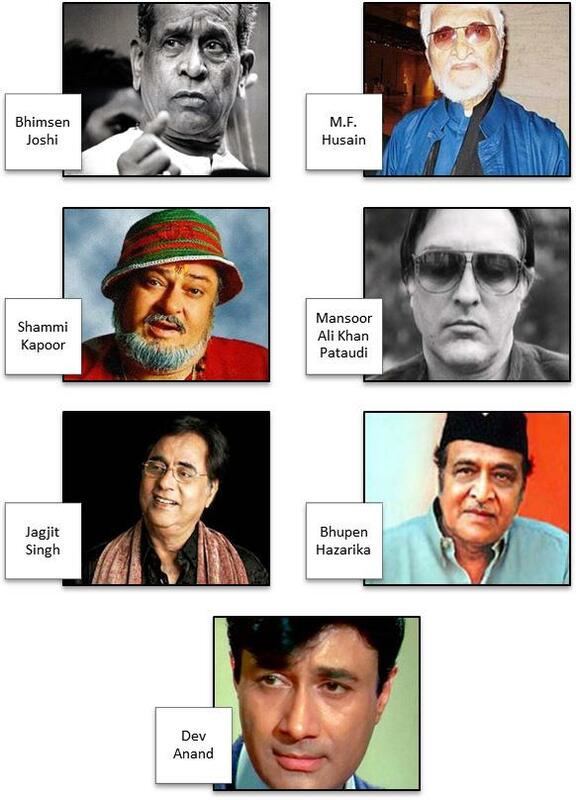 The music world lost a few more of its gems with Amy Winehouse, Pandit Bhimsen Joshi (one of the greatest legends of Indian classical music and the oldest living exponent of the Kirana Gharana), the soulful voice of Ustad Sultan Khan and the legendary singer-composer and the most iconic figures from Assam, Bhupen Hazarika. On the other side of the world, millions mourned the death of Apple’s visionary Steve Jobs. One of the greatest CEOs of his generation, Steve Jobs died of pancreatic cancer at the age of 56. His death gave us a chance to reflect upon what a great corporate leader can do to the world of technology. Without doubt almost every Indian will never forget this year as Dhoni and his team bought back the World cup to India after 28 years. Co-hosted by India, Bangladesh and Sri Lanka, the World Cup eclipsed every other event between the 19th of February and the 2nd of April this year. The fact that India won the Cup on home soil was the perfect icing on the cake. The whole nation was euphoric and Indians from all over the globe were on the streets celebrating joyously. One massive event happened on April 29th - the British Royal Wedding between Prince William and Catherine Middleton. After months of top-secret planning, the invitations were mailed, the details finalized, and the big day arrived. For estimated 2.4 billion people watching the royal wedding, it was definitely the wedding of the year, probably even the decade! Apart from these a few more events on a positive note include Anna Hazare’s rise to bring corruption to an end with his Lokpal campaign, F1 Indian Grand Prix Race coming to India, Sachin breaking another record to score 15000 runs in Test cricket, the world’s cheapest tablet PC Akash launched in India and a medical breakthrough with All Indian Institute of Medical Sciences (AIIMS) creating a new drug called Naringin, for treating Alzheimer`s disease. Can't you see the fragile hands? Can't you see the pain behind the frame? Have you forgotten the time when he gushed you on your first step? Have you forgotten the days when he was the gladdest dad watching you crawl and run? Is similar to providing freedom to a bird in cage. So open those eyes, wake up and foster those dry leaves. Don't judge me by my blog! Copyright © ♪ ♪ ∂udi rumΐnätës ♪ ♪. All rights reserved.